For the 24 hours to 23:00 GMT, the AUD marginally declined against the USD and closed at 0.7158. LME Copper prices declined 1.2% or $70.5/MT to $5951.5/MT. Aluminium prices declined 0.5% or $8.5/MT to $1842.5/MT. 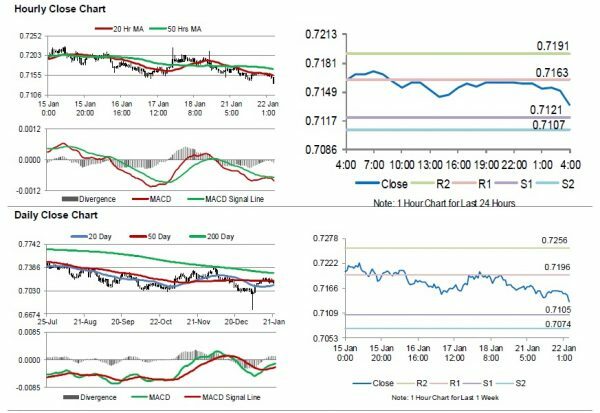 In the Asian session, at GMT0400, the pair is trading at 0.7135, with the AUD trading 0.32% lower against the USD from yesterday’s close. 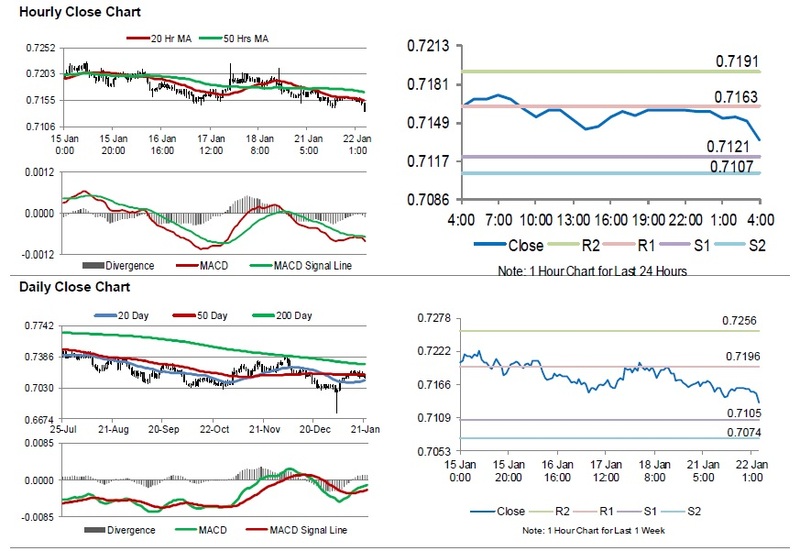 The pair is expected to find support at 0.7121, and a fall through could take it to the next support level of 0.7107. The pair is expected to find its first resistance at 0.7163, and a rise through could take it to the next resistance level of 0.7191. Moving ahead, investors would closely monitor Australia’s Westpac leading index for December, set to release overnight.